The hard cover collection Deadpool Volume 2: Dark Reign comes out tomorrow, September 16, 2009. This collects Deadpool #6-7 and #10-12. 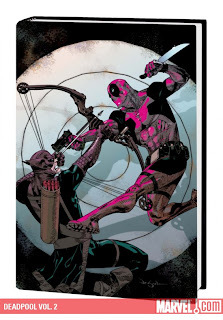 Deadpool #8-9 were already collecting in the Deadpool/Thunderbolts crossover, Magnum Opus.